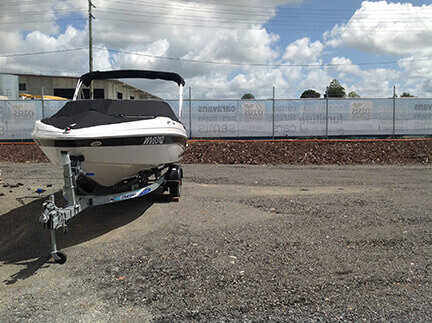 Boat Storage Gold Coast - Look no further - Oasis has the right solution! After days spent on the water, you are ready to go home, but where is home for your boat? Boat Storage here on the Gold Coast can be a dilemma; it's a decision every boat owner has to make to find the right solution to protect his or her investment. Oasis offers secure boat storage, catering to boats of all sizes. Also ideal for jet skis and trailers and always at the best market rates. Juggling a boat and vehicles in the driveway can be a huge challenge! Our dry boat storage provides a much safer alternative to leaving your boat parked on the street or outside your house, not to mention the gained space you'll have. Storing your boat out in the driveway or yard allows the elements to cause damage, including pest and bird droppings. For secure pest free storage, trust the new Oasis facility to protect your boat at all times. Also, we offer caravan and vehicle storage, and commercial and residential storage, all at fantastic rates. Our location is secure and protected to keep your items safe. At Oasis Storage, there are no long-term, lock-in contracts to burden our customers. Our facility is convenient and provides our clients with a safe place to store their campers, boats and vehicles that they may only use occasionally. Our Self Storage Gives You Peace Of Mind! Storing your boat at Oasis Storage is affordable and accessible. Never worry about your boat when it is at our secure location. 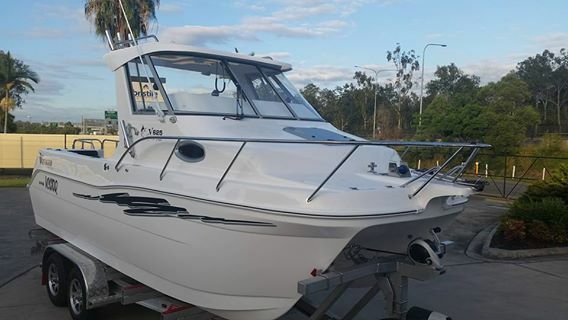 For the best options in boat storage right here on the Gold Coast, you can rely on Oasis every time. Have other storage needs? We provide a one-stop-shop for all your requirements, including caravan/vehicle and personal storage. We offer a truly secure facility with 24/7 online video monitoring system and a reliable manager during office hours. Experience modern storage solutions personalised to suit your needs. Contact Oasis on 1800 971 771 for a free quote, or you can email our friendly staff at sales@oasisstorage.com.au. Better still, come right into our Ormeau storage facility open 7 days!